"It must be good. Look: everyone inside is Chinese." In the great pantheon of Daft Things You Hear People Say, this is one of my favourites. A number of “reviews” follow this formula on Inoodle’s TripAdvisor page. It’s a peculiar kind of positive racism which assumes, without any foundation, that an ethnic group of nearly 1.5 billion are all gastronomes. Surely a good portion of the Chinese, just like the rest of us, have terrible taste in food? I always wonder if it works the same the other way round. When a group of Asian people walk past a greasy spoon heaving with Brits, do they sagely nod and say to each other "Look at that, it must be a really great British restaurant"? 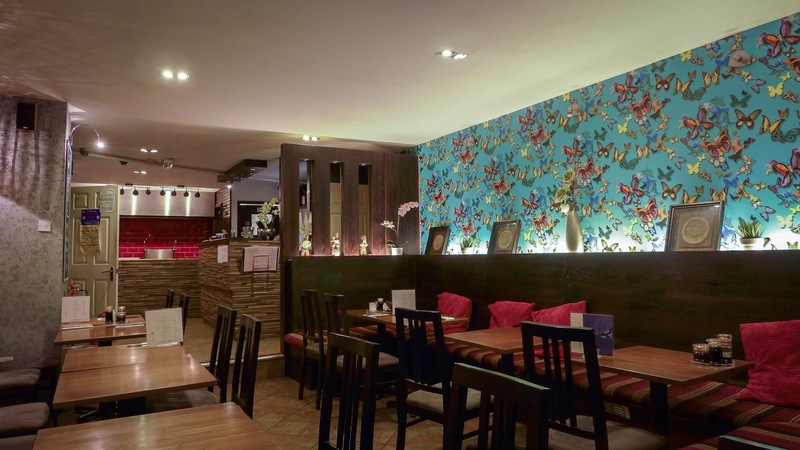 Giles Coren reckons that the best way of discerning a quality Chinese gaff is to clock the number of Jewish patrons, citing the similarities between the cuisines (you say dim sum; I say kreplach), and the extreme fussiness of the latter ethnic group. I tend to find that the best Chinese restaurants are the places that all my Jewish friends book on Christmas Day (I have a feeling this criteria may be more reliable when observed in North London than in Newcastle). All of this ethno-preamble is a longhand way of noting the fact that as my friend and I grabbed an end-of-the-night table in Inoodle, we were indeed the only patrons of non-Asian extraction. However, this isn’t why the meal was such a joy. That comes solely down to the skill of the cook, who prepared us a range of simple but unerringly delicious dishes. 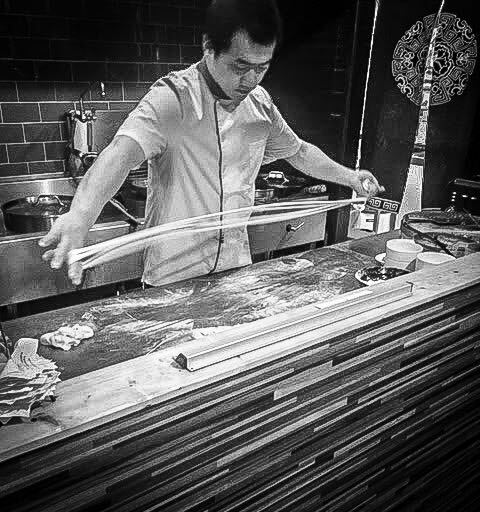 And the wondrous treat of proper, hand-pulled noodles. I don’t know of anywhere else round these parts preparing real Lamian noodles from scratch, and this alone makes Inoodle special. Firstly there’s the theatre and thwack as the chef repeatedly stretches them by hand and slaps them on the worktop, swiftly followed by the wonderful bouncy texture of the finished product in your bowl. I had mine in a complex but feather-light Lanzhou beef broth in which boiled bones laid down the bass part while star anise and, I think, cassia handled the treble. Sliced beef in soup can often be horribly dry, a circle that was squared here by slicing it quite remarkably thin. The whole thing was enlivened and freshened with chilli oil and chopped coriander. Wonderful stuff. 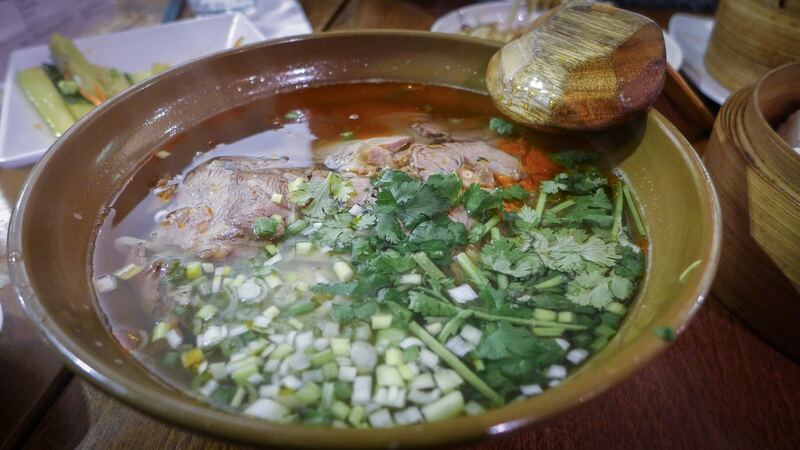 This is not just a noodle joint, however. Bamboo baskets of steamed pork dumplings, in both cumulus-like char siu, and dense, juicy siu mai formats were very good; not quite the equal of Grainger Market dumpling specialists Nan Bei, but not far off either. 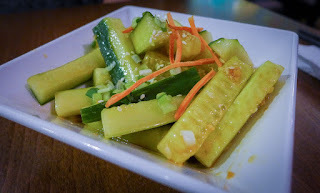 A simple salad of smacked cucumber, cut into chunky logs and doused in garlic was beyond delicious, and well worth the protests from Mrs Diner later that evening. I interrogated it with my chopsticks, looking for evidence of some magic or unfamiliar ingredient, but found none. As with many things, judgement and balance are the key. I was intrigued to try the dullest sounding dish on the menu. 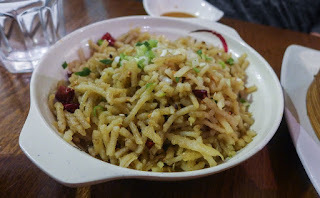 “Steam shredded potato” may lack poetry, but the dried chillies, scallions and who-knows-what-else that went into its preparation made it a revelation. You definitely should order this dish. 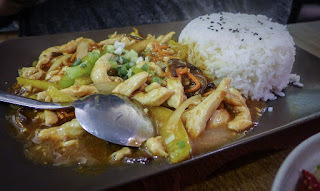 My friend’s chicken satay was not the most adventurous choice (you can take the girl out of Manchester…), but it was still nicely done, the velvety meat tender and the sauce having some depth. There were no puddings on the menu, so none were had. Neither were any needed. 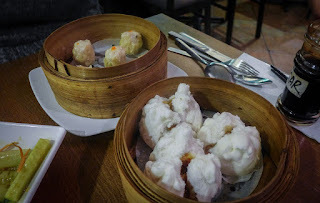 Service was certainly friendly, although the language barrier - perhaps not a verbal Great Wall, but still significant - between the waitress and myself made asking questions about dishes an imprecise and slightly fraught affair. A couple of items were unavailable, which is always good to know before you’ve set your heart on them. The interior doesn’t seem to have changed much since the last time I was here, when it was Bangkok Café. Then, as now, fans of colourful butterfly-clad feature walls were right at home. Music-wise, I enjoyed the Mando/Cantopop stylings of Sun Yan Zi, and the popular beat combo Twins. Get involved. The drink selection is basic. I stuck to green tea. I’ll be back, with a more daring eating companion next time. I want to get fired into their tripe with sesame paste, the jellyfish salad, and the spicy beef shin. I want to get familiar with their tasty and spicy chicken gizzard, and the enigmatic sounding cold shredded potatoes dressed with sauce. 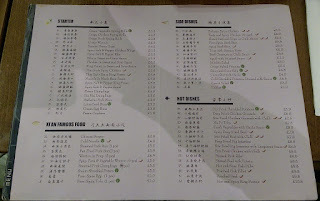 The menu is a fine mix of the familiar and the exotic. 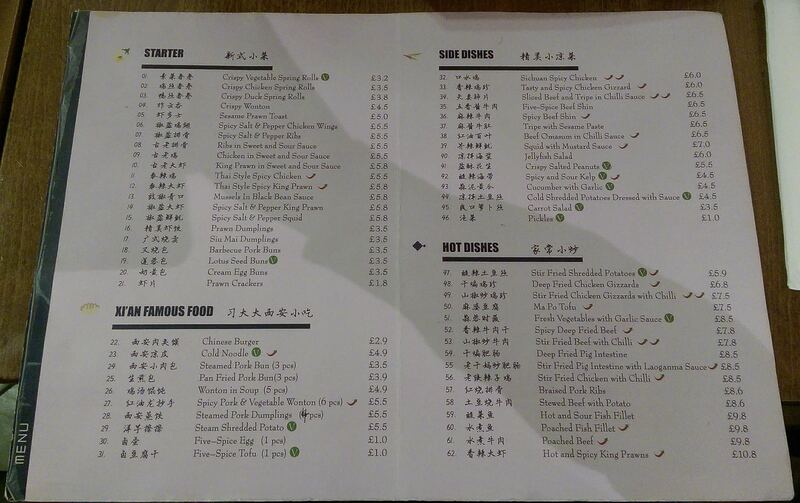 The fact that there is only one list of things from which to choose, and that you aren’t shunted off into a world of gloopy sauces and deep fried everything due to your un-Chineseness is most welcome. All of a sudden, the “Best Asian” category in my upcoming end-of-year report is getting crowded. 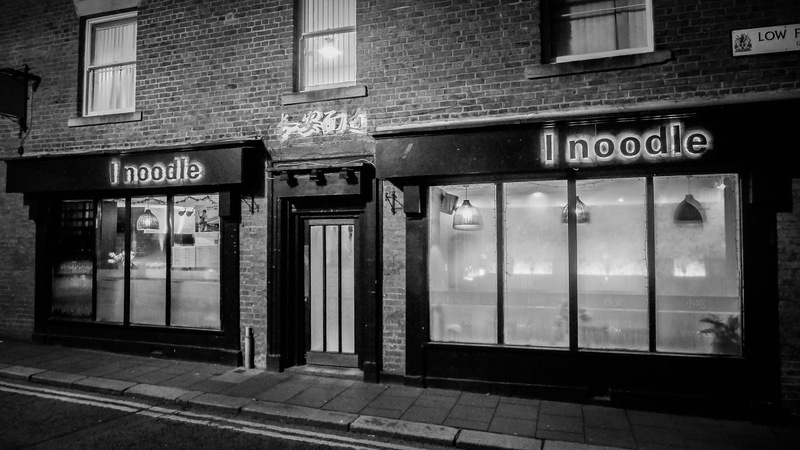 It’s ironic that the best Chinese food in Newcastle - Inoodle joins Chilli Padi and Hei Hei in deserving that description - is to be found well away from the Pagodas and prawn crackers of Stowell Street. 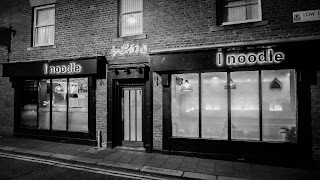 The food at Inoodle is certainly more authentic than most, but never mind that. The most important thing - in fact the only important thing - is that it’s made with care, skill, and is completely delicious. That much would, I’d like to think, remain true regardless of where you come from.